WRIGHT-PATTERSON AFB, Ohio --- The Air Force office of Strategic Development Planning and Experimentation at the Air Force Research Laboratory is working on fielding a prototype Autonomous, Unmanned Combat Air Vehicle as an Early Operational Capability as early as 2023. The program, known as Skyborg, and the SDPE office issued a request for information to industry March 15 to conduct market research and concept of operations analysis to learn what is commercially available now as high technology readiness level capabilities which can meet the requirements and timeline of the Skyborg program. Skyborg officially stood up as a fiscal year 2019 funded pathfinder program through SDPE in October 2018, according to Ben Tran, Skyborg program manager. 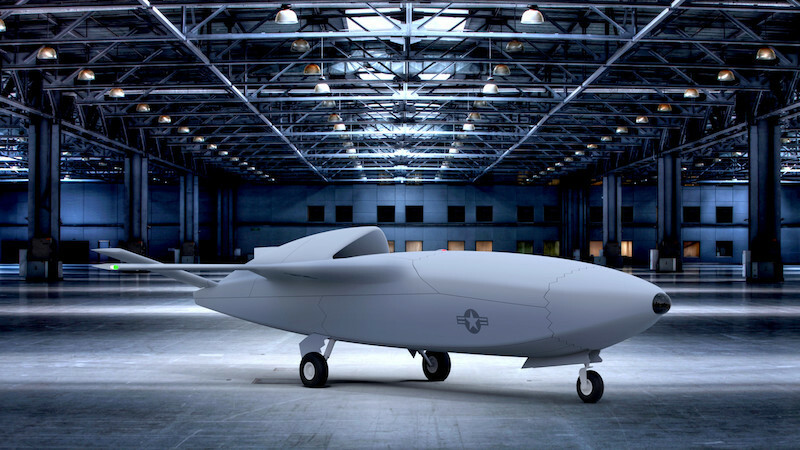 Low cost, attritable, unmanned air vehicles are one way to bring mass to the fight when it comes to addressing potential near-peer engagements in the future, according to Tran. Matt Duquette, an AFRL Aerospace Systems Directorate engineer, brings a background in UAV control, autonomy, and modeling and simulation of UAVs, especially teams of UAVs to the effort while assisting the Skyborg program with formulating its approach to the autonomy system and some of the behaviors that the UAVs will have. “Skyborg is a vessel for AI technologies that could range from rather simple algorithms to fly the aircraft and control them in airspace to the introduction of more complicated levels of AI to accomplish certain tasks or subtasks of the mission,” Duquette said. This builds on much of the AFRL foundational work with AI shown with programs such as Have Raider and the Auto Ground and Air Collision Avoidance systems, which prove that levels of autonomy in high performance aircraft are not only possible, but also practical. “We’re looking at a range of vehicle performance parameters – mission analysis will help us determine what the final outcome is and the responses from the CRFI will help us understand what the performance is of currently available systems and whether those will meet the needs or not. Everything from keeping up with combat platforms to slower platforms for sensing. There will be a range of possibilities there,” said Patrick Berry, from AFRL’s Sensors Directorate, who is supporting the Skyborg program by conducting modeling, simulation and analysis. Although Skyborg is not scheduled for any particular type of aircraft platform at this time, Tran said the CRFI emphasizes the importance of an open systems architecture, having modularity in the system, not only from a sensing capabilities standpoint, but overall mission systems, as well as the autonomy associated with the mission capability for the platform. 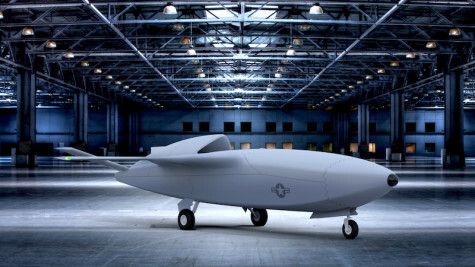 “We’ve partnered with the 412th Test Wing at Edwards Air Force Base, California, and specifically an organization called the Emerging Technologies Combined Test Force and we’re working with them beginning with small, fast-moving UAVs to test the current state of the art in AI and autonomy in those airplanes and the ability for them to autonomously team and collaborate in flight,” Tran said. Machine learning has progressed greatly over the last few years and we’re very inspired by those results and excited by things that are going on in the gaming industry for instance,” said Maj. Ryan Carr, from AFRL’s Aerospace Systems Directorate. “We expect that technology will continue to mature fairly rapidly. What we really need to understand is, ‘How do you take that and do something like bring it to the real world and fly with it for example?’ The thing we’re trying to get at early on is how to do that safely. We’re talking about run-time assurance, working hand-in-hand with the flight test community who have a very long record of safe flight testing. That’s really what we want to focus our attention on in this early period,” Carr said. “We want to do this in a way that builds trust in the system as you go along so that when you get to that EOC, you will have established a baseline of trust so that operational youth will believe what the system will do or believe it’s safe. It’s not just that end-state capability, it’s the trust as you go along,” he added. Before operational AI innovation can occur, the Air Force must field an autonomous system that meets an immediate operational need and can serve as an iterative platform to facilitate complex AI development, prototyping, experimentation and fielding, and that system is Skyborg, the CRFI says.